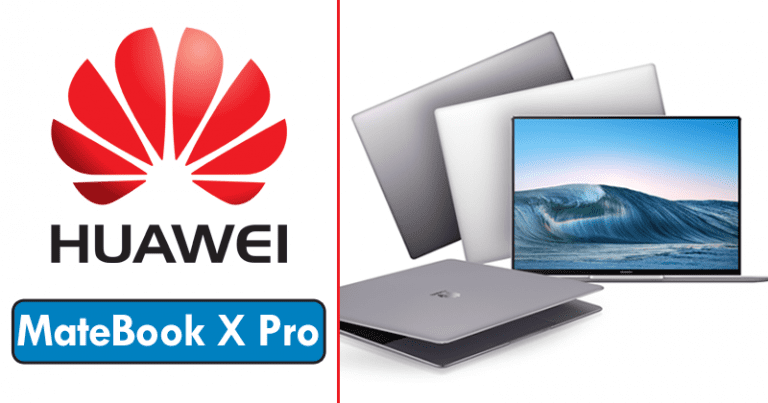 Huawei has finally taken the bezeless design to Notebooks with its new MateBook Pro X laptop. The device which is a competitor to Apple’s MacBook Pro features a 13.9-inch FullView touch screen display with an aspect ratio of 3:2 and a retractable ‘webcam’ hidden in the keyboard. The device features a FullView touch screen which occupies 91% of the surface of the front. The near bezeless panel offers a resolution of 3000 x 2000 pixels, a density of 260 dots per inch (PPI) and brightness of 450 nits. According to Huawei, this is the first FullView touch screen present in a laptop. It is also made with Corning Gorilla glass for added protection. The MateBook X Pro features a metallic ‘uni-body’ design which weighs just about 1.33 Kilograms and just about 4.9 Millimetres thick. It is powered by Intel Core i7-8550U eighth-generation processor, a NVIDIA GeForce MX150 graphics card and features an intelligent cooling System. It also comes with Dolby Atmos Sound System Technology with four speakers and a 57.4-watt-hour battery, which guarantees a 12 hours autonomy of video viewing, 14 hours of work and 15 hours of web browsing, according to the company. Some of the other stand out features of the MateBook X Pro are the fingerprint scanner and the retractable webcam. The Fingerprint sensor on the laptop is located on the power button. According to the figures offered by Huawei, this verification system activates the computer in 1.9 seconds from sleep mode, 6.6 seconds to exit hibernation mode and 7.8 seconds to turn it on. Since the display of the laptop is almost bezeless with no space for a webcam, Huawei has however decided to place the webcam in a retractable false key located in the first row of the keyboard. The laptop which runs on Microsoft Windows 10 Operating system integrates the Huawei Share service, which allows transferring files wirelessly between Huawei devices. According to Huawei, the service can be used to share up to 1,000 images in three minutes and a video of 1GB in one minute. The Huawei MateBook X Pro will be available for purchase in seven different markets by the second quarter of this year. It will be available in 3 different configurations which are the Intel Core i5, 8 gigabytes of RAM and 256 gigabytes of internal storage which will cost $1499; an intel core i7 processor, with 8 GB of RAM and 512 GB of storage for $1699, and another Intel Core i7 processor, with the same 512GB storage but with a larger 16GB RAM for $1899. The laptop will be available in two different grey colour options which are “Space Gray and Mystic Silver”.